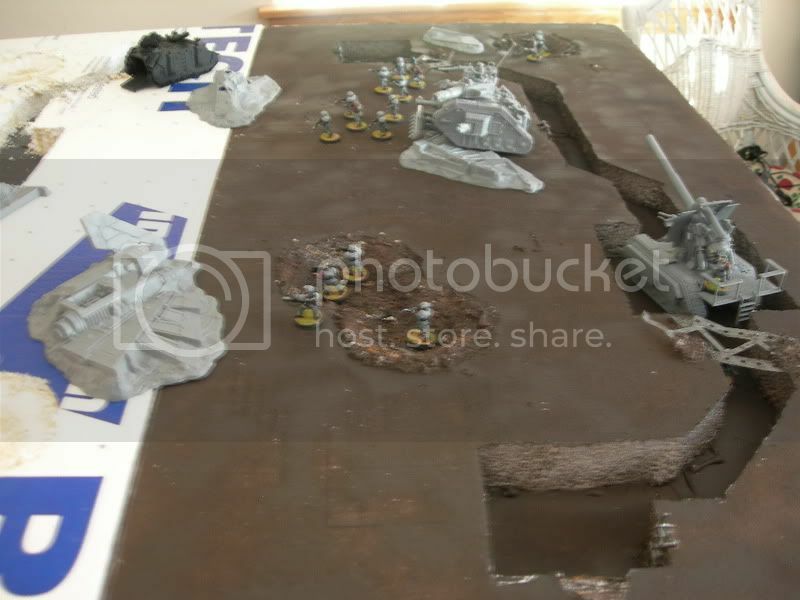 I have a ways to go but it is slightly modular and can field two 1500 pt armies with relative ease. 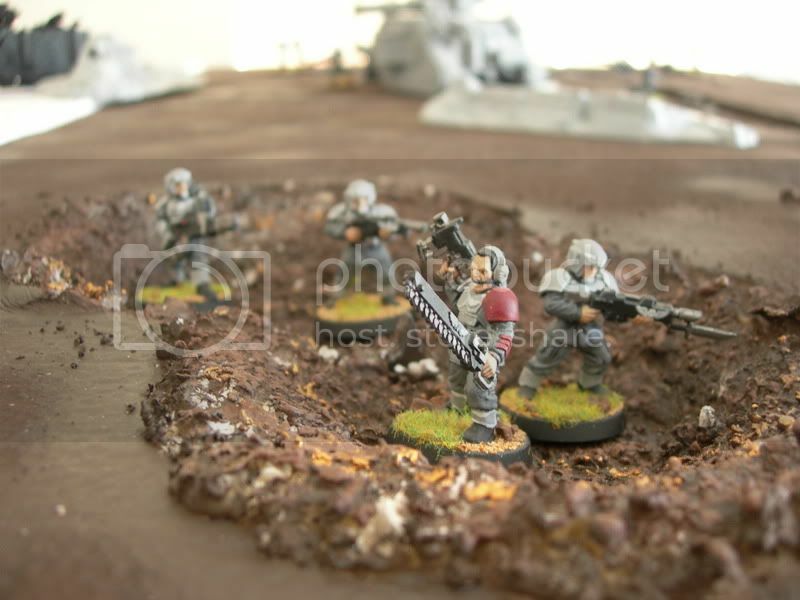 It is balanced with terrain because infantry cannot shoot out of the trench they are standing in. 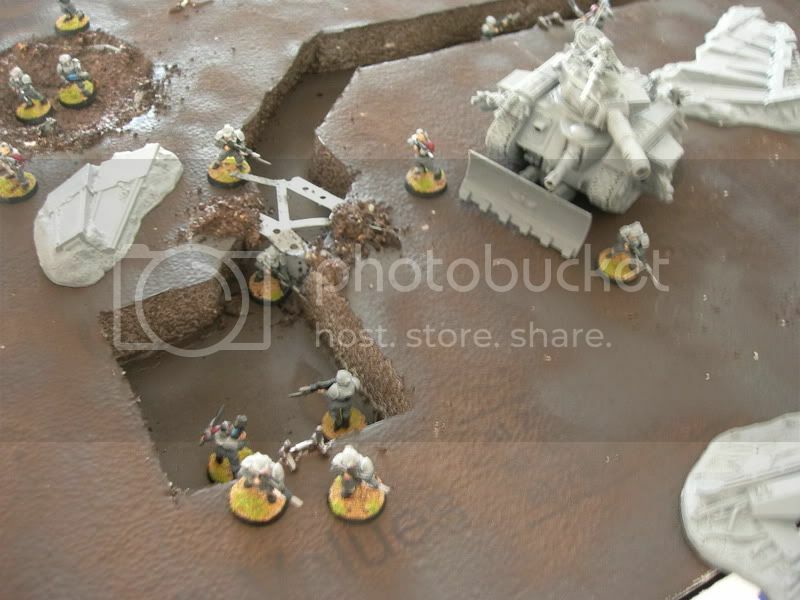 These trenches are purely for limiting LOS and making template and barrage weapons far more deadly. Please comment. 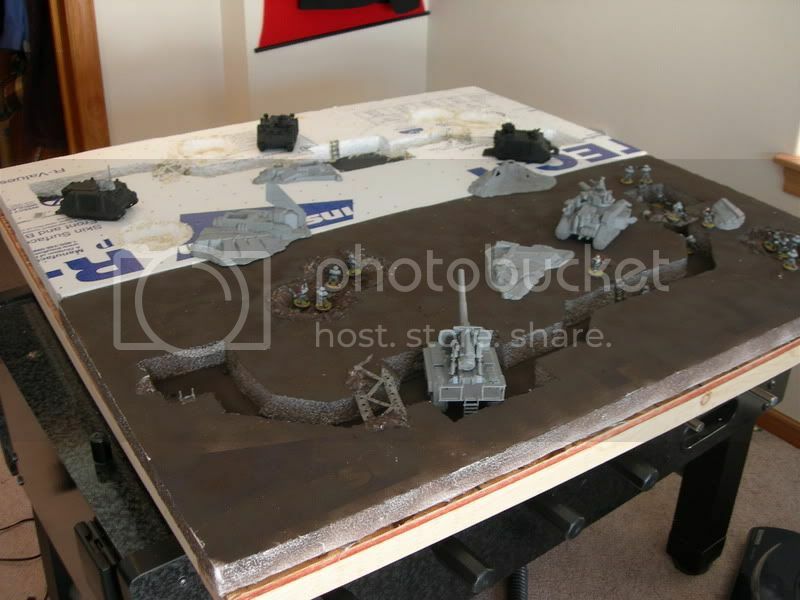 Looks awesome, I hope you finish it soon, should look great! 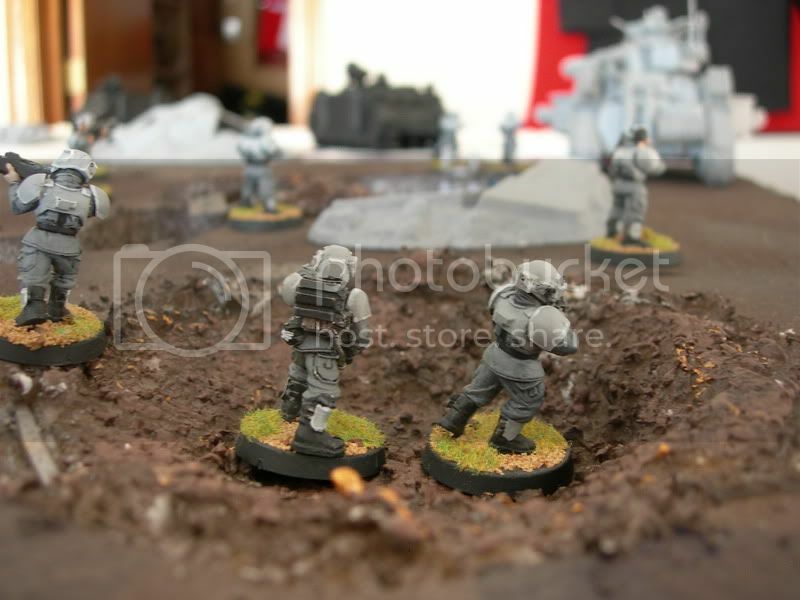 Looks good but almost to clean the trenches are so clear cut. I like the craters they are sweet! Looks great makes me want to do somthing like that. A very good job, though the threnches my be a little too deep. Perhaps they could be leveled, so the guardsmens heads are visible from the top? 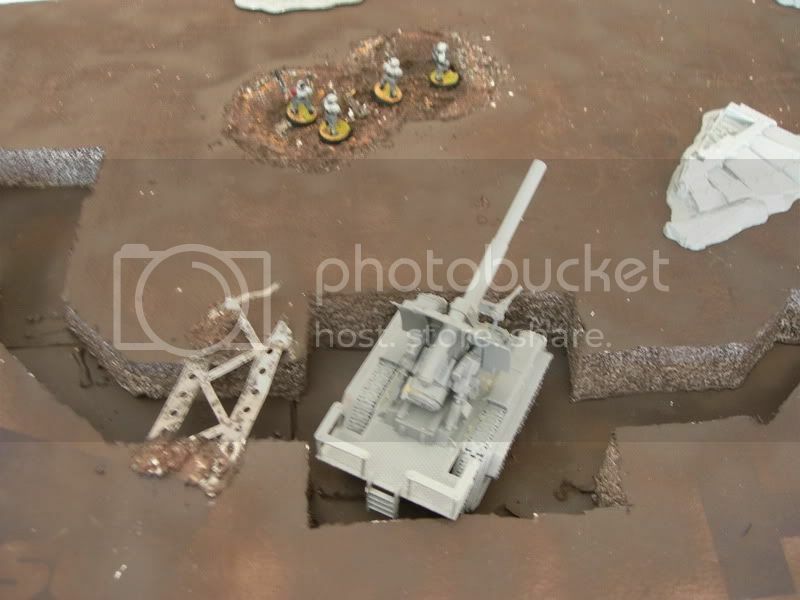 I&#39;m going to slope the trench edges with sand and dirt for realism but I&#39;m making sure the trenches rest above eye-level to prevent static shooty games. I&#39;ve lived in France for quite a while and every trench I&#39;ve seen has required a hike up a ladder to get a visual on your target. 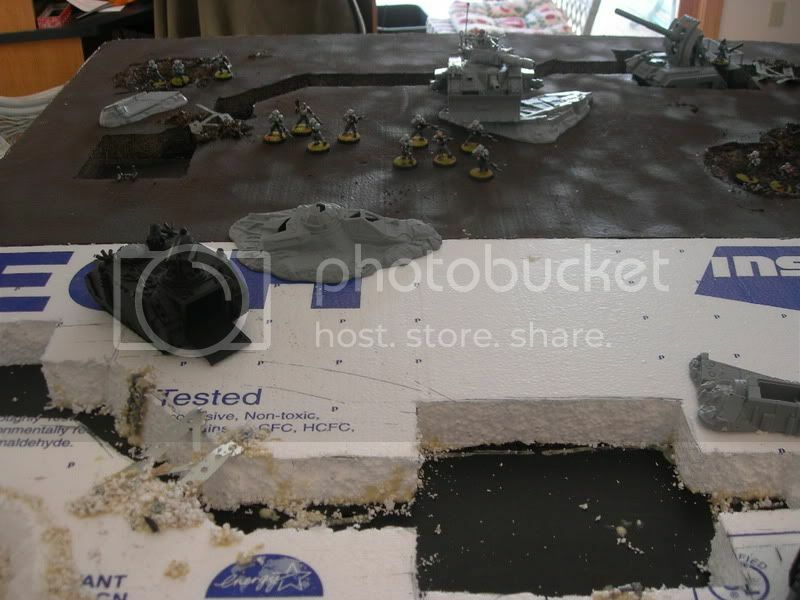 I think I might invest in two more polystyrene segments to make an 8&#39; x 4&#39; battlefield. The others would serve as crater and steppe-filled footholds for the two opposing sides. For attack and defense missions one player would double up on both trench segments for additional bulworks vs assaults. 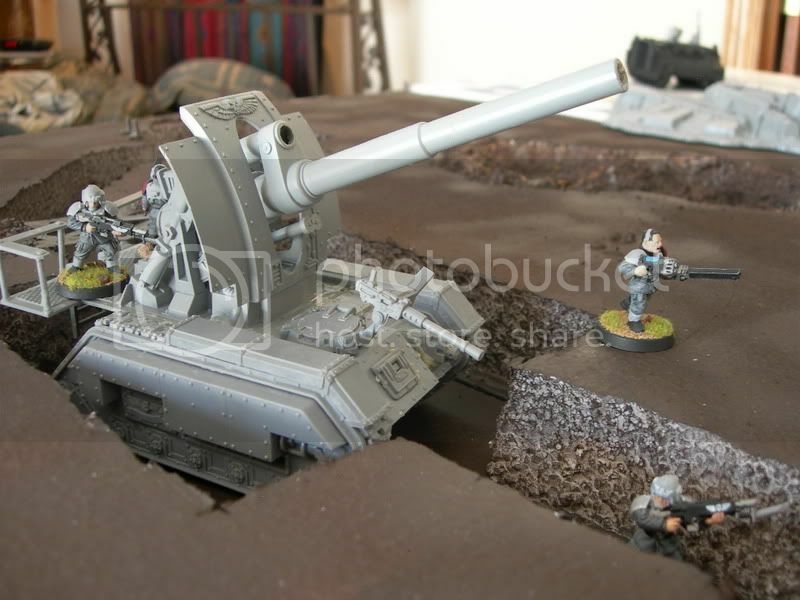 Just imagine how cool that&#39;d look with some Death Korps of Kreig!! looks great. makes me want to go do somthing similar right now! 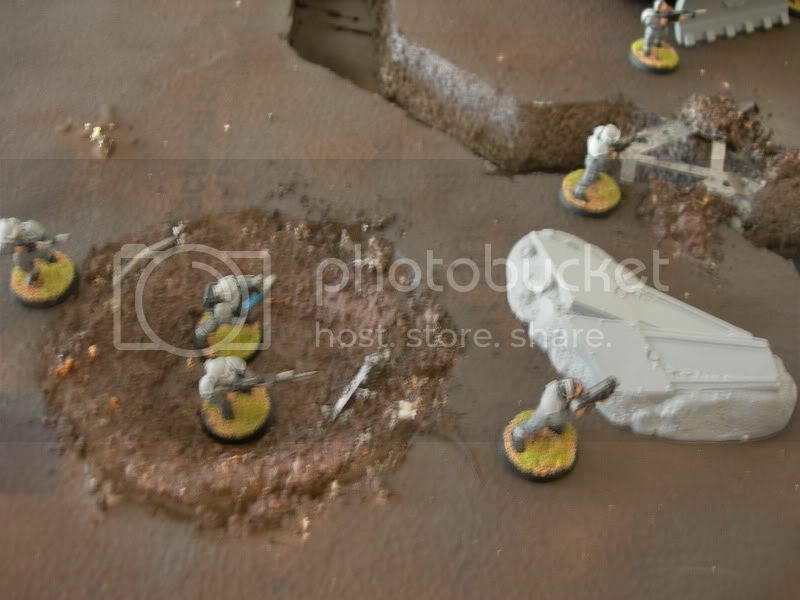 but uh i would let men look over the top of the trench however maybe not shoot. 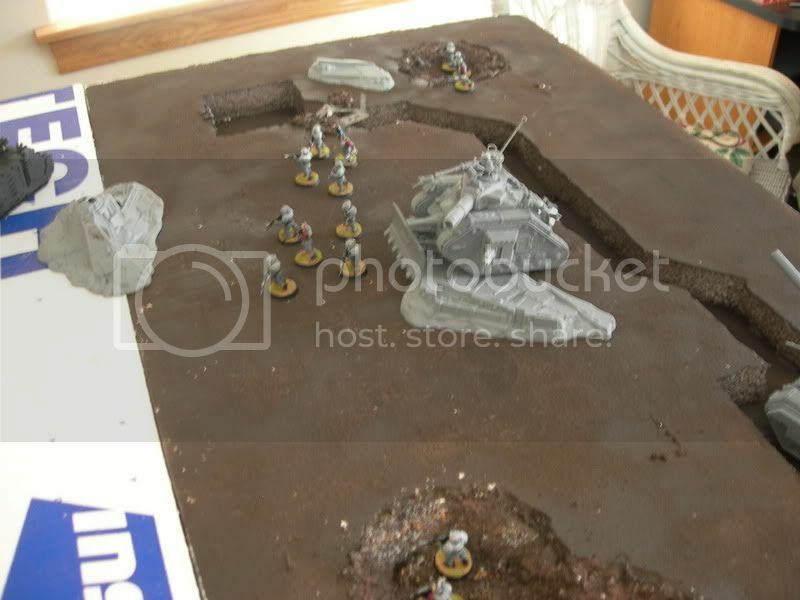 or if you wanted you could amke it fair to both shooty and assault armies and let people shoot out of the trench however clutter the middle of teh board with craters and destroyed vehicles. this way a static army will only get in 1-2 shots before assault. this way neither army has thier strencht taken away.